NFT tokens are starting to become widely used. 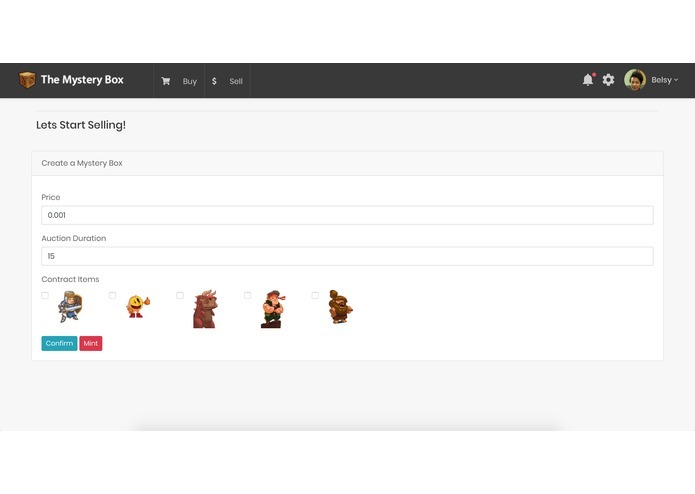 Our team believes that users should be able to interact with digital assets in a fun and interactive way. 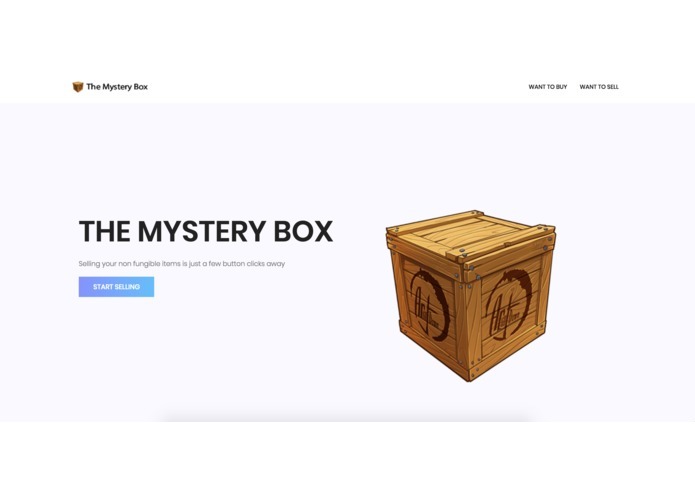 Mystery Boxes or lucky boxes are hugely popular with a vast majority of online and offline games using this model over selling items directly. We believe that Ethereum brings much needed transparency to this space and helps assure users that the outcome is generated randomly in a provably fair way. The MysteryBox Smart contract acts a bit like an auction where the seller are held into an escrow. Each buyer then pay the price to enter in the raffle. After a determined time (number of block defined by the seller/0, a random number based on the future block hash is generated. This decide who get what. Randomness is always tricky on a blockchain. We needed to shuffle the items but to avoid loop the shuffle is spread on each buy. One of our goal was to explore ERC1155 but there was not enough time. We still think this new standard should make the mystery boxes more appealing since the selection can be wider without incurring a high gas cost. On the other hand, the shuffling algorithm would need to be revisited. The concept makes sense and we got a working version. came up with the original idea + designed and coded the smart contract. It was an interesting blockchain challenge (gas, fair randomness, user experience) as we had to make sure the system could not be gamed but was still easy to use. It was fun to build it in 24 hours with a cool team who just met on the day. Very proud of the result. Looking forward to continue building the project.